Please read carefully and be sure that you fully understand the contents of the TERMS & CONDITIONS as published on the website. Receipt of your payment represents your acknowledgment and acceptance of these terms and conditions. 1. Early reservations are highly recommended. We suggest that you book the tour at least 4 months prior to the departure date. 2. When we have confirmed all your booking, we would like to ask you to pay a deposit of 30%, You need to pay by wire transfer or through Papal, you will be required to wire the deposit to our bank account and fax us the bank receipt within 1-2 days .Balance must be done 30 days before you arrive in China. In case if we do not receive the agreed sum of money before the arrival, then we have the right not to provide any agreed service. Into China Travel reserves the right to cancel the bookings not paid in full by the due date. 3. Into China Travel does not block seats with airlines, and we make flight bookings when we receive your deposit. You will be notified of the air payment with our written announcement. 4. Into China Travel sends a confirmation letter& receipt, detailed tour itinerary, visa application form, insurance information, suggested reading list, general destination information, temperature chart, service voucher, emergency contact numbers, air tickets (if applicable), Chinese visa (if applicable), and other useful information. 5. Our published ‘Land’ prices are in US dollars. All ‘Land’ prices include intra-China airfare between cities and airport tax for Chinese domestic flights. We try our best to keep our prices the same as published and price change rarely occurs during the year. However, all prices are subject to change without notice due to dramatic increase in fuel surcharges, land operation expenses, and currency exchange rate. Into China Travel reserves the right to adjust the price of any tour should such circumstances arise. 6. Into China Tavel has made all possible attempts to ensure the accuracy of tour itineraries. Circumstances beyond our control may occur. We reserve the right to change itineraries, sightseeing activities, and common carriers, and to substitute hotels when necessary. Service of a similar category and standard will be maintained if such changes are made. 7. Arrival and departure transfer services are included for all tour participants who arrive and depart on the scheduled arrival and departure dates, regardless from whom they purchased the international air tickets. 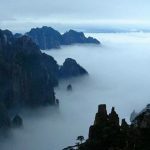 Transfers for early arrivals and late departures are not included in the tour price, and one must arrange their own arrival and departure transfers unless they request Into China Travel to provide such service at an additional cost. The cancellation penalty will be a certain percentage of the tour price. 2 days prior to the arrival day is 50%. 9. 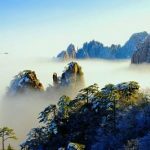 Into China Travel tour packages include China Life Tourist Accident/Casualty Insurance up to a maximum of $24,000 provided free of charge as part of our package. However, we still highly recommend that you purchase full coverage travel insurance from your country of origin. 10. Shall you feel unsatisfied with any service, please notify your local tour guide or your travel advisor to avoid the potential for similar problems happening again during your trip.In the event of a complaint or claim for compensation, you may inform us by email, regular mail, or facsimile in writing within 15 days from the end of your tour. Relevant receipts and substantiating evidence must be attached to the letter of claim. 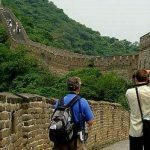 Into China Travel will not be liable for any claims made later than 15 days after the completion of your tour. All the negative actions during passing the custom. Into China Travel acts only as agent for suppliers such as air carriers and hotels identified on documents supplied to you in connection with your purchase of the tours described herein or other travel services.Into China Travel shall not be held responsible for any wrongful or negligent acts or omissions by any supplier or other party not directly owned or controlled by Into China Travel, or by the failure of any equipment operated by any such supplier or other party. Into China Travel shall not be liable for any loss, injury, or damage to person, property, or otherwise, in connection with any accommodations, transportation, or other services, resulting directly or indirectly from any acts of dangers incident to the sea, fire, breakdown of machinery or equipment, acts of government or other authorities, wars whether or not declared, hostilities, civil disturbances, strikes, riots, thefts, pilferage, epidemics, quarantines, medical or customs regulations, defaults, delays or cancellations of or changes to itineraries or schedules, or from any causes resulting from insufficient or improperly issued passports, visas, or other documents. Neither Into China Travel nor any of its affiliates or subsidiaries shall be or become liable or responsible for any additional expenses of liability sustained or incurred by the tour member as a result of any of the aforementioned causes. The tour is available on April 7th. Service includes pick up and drop off,tour coach, English guide, entrance tickets and Chinese lunch. Our guide will call to your hotel or leave a message to you in the evening April 6 to let you know the pick-up time. The price is USD30 or RMB190 per person, Please make the payment in cash to the guide when pick up. Please send me your full name and passport number as the Forbidden City needs all visitors to register with real identity when buy the tickets.